Seventy-eight people were arrested for drunk driving during Songkran in Sattahip. 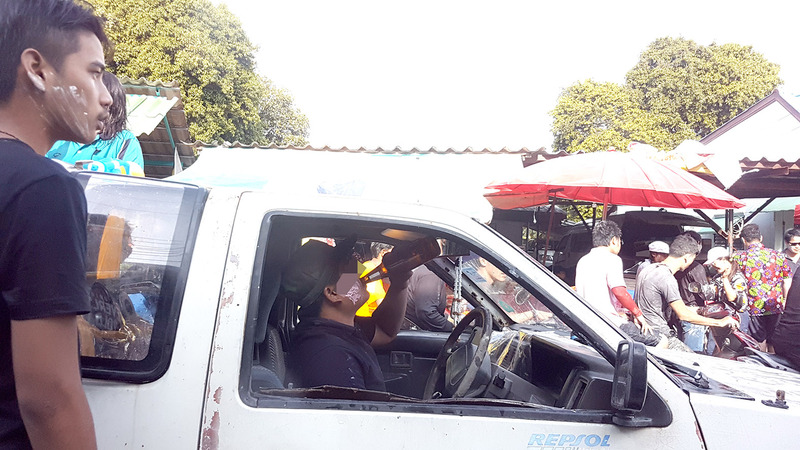 Seventy-eight people were arrested for drunk driving during Songkran in Sattahip, including this rocket scientist. Police said the arrests came April 11-17, with officers seizing the vehicles of drunk drivers caught in the district. Those arrested face up to a year in prison and a 20,000-baht fine. Police were out in force at the Sattahip Market on April 17 for Sattahip’s “wan lai” day. They were both checking for drunk drivers as well as maintaining security for the Thai New Year finale.